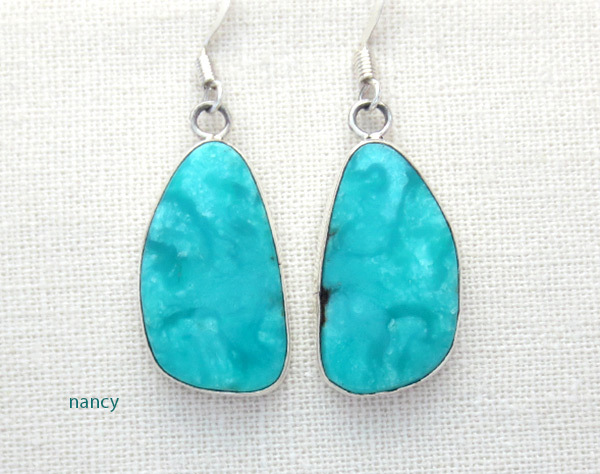 These wonderful earrings were made by Navajo Artist Vernon Begay. 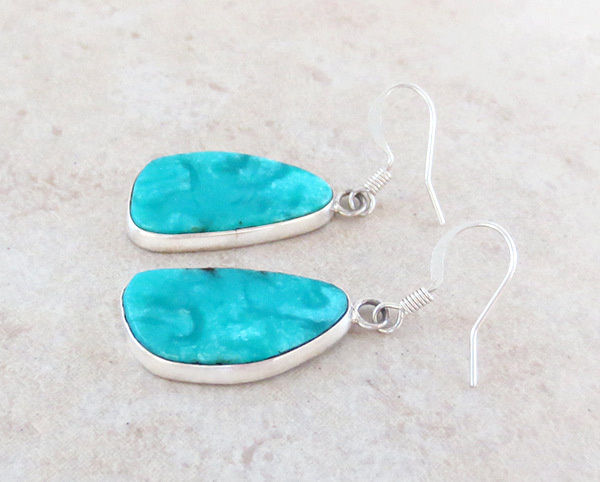 The turquoise stones are a very pretty, slightly mottled blue. 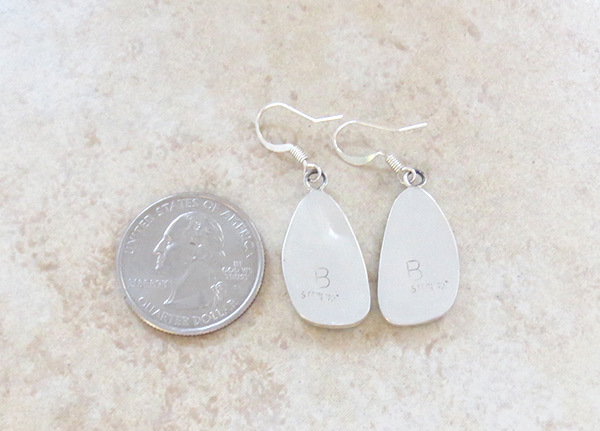 They are backed in sterling silver. They are 1" tall by 1/2" wide.